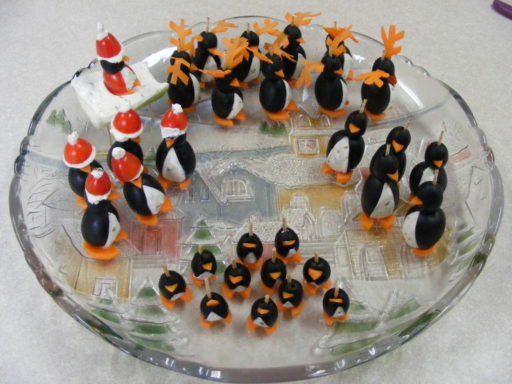 We went over to Gramma’s house for Christmas and Aunt Susie requested cream cheese penguins, so here’s what we brought! This batch was fun to make. The hats are fashioned from grape tomatoes… I cut the pointy part off, scooped out the guts, dried the inside with a paper towel, and pre-poked a hole in the top so they didn’t squish the head down too much during assembly. Overfilled just a little and stuck on the heads, they made great hats and tasted good, too. Here is a batch of Christmas penguins! 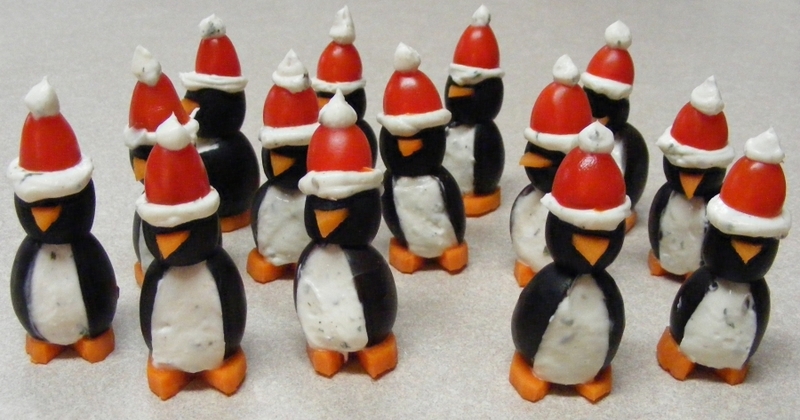 We made a grape tomato Santa, celery sleigh, reindeer and penguin children. Click any picture for a larger version. A display idea is to create a Christmas tree out of broccoli and cheese. Cut a block of cheese into a triangle. Then cover it with broccoli, forming the shape of a tree. Use half toothpicks to poke into the broccoli and then into the cheese. 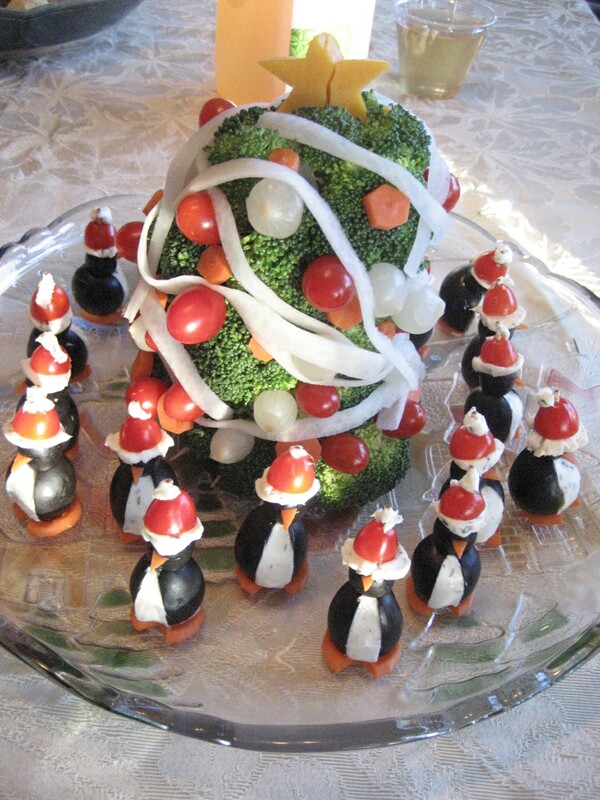 For decorations, put grape tomatoes, carrot rounds, and cocktail onions onto full toothpicks and press into the cheese. Use a vegetable peeler to make long strips of daikon radish for the garland. Disassemble and serve with ranch dip when you’re ready for your guests to devour the goodies! Another display idea is to use a Christmas cupcake stand.